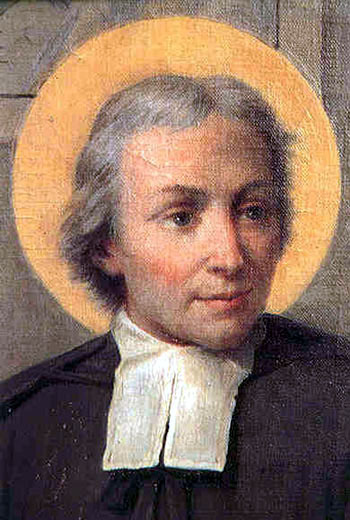 Today Mother Church celebrates the feast day of St. John Baptist de La Salle, who founded the Brothers of the Christian Schools. He is patron saint of school teachers, so today would be a fine day to ask him to intercede for all teachers especially in our parochial schools. A lay man, Adrien Nyel, approached John and asked that he help open a school in Reims. John agreed and founded multiple schools there, but one problem became apparent: the teachers were not all that educated themselves, and those who were lacked the ability to teach well. So John opened a training house for teachers to prepare them for the challenges of teaching. John got the idea somewhere down the line of living in community with his fellow teachers and they all agreed it would be a good idea to take a simple vow of obedience and a vow of teaching the poor for their entire lives. Interestingly, the rule also calls for no fasts or mortifications beyond the requirements of the Church. John thought teaching in and of itself was demanding enough and that if the brothers went about it the right way, they would be sufficiently self-disciplined. Partly what’s so great about John is his drive to teach the common and even poor children, which was met with opposition. Most believed that the poor didn’t need to know anything other than how to do manual labor. John knew of their dignity and educated them anyway. Interestingly, John never really naturally felt like he was called to his apostolate. He didn’t get along with most of the brothers and in fact once said that living with them was simply “unbearable.” It was mutual; the brothers tried to overthrow him at one point. On top of that, he most likely never would have entered into this particular ministry absent the persistent promptings of Adrien Nyel. Yet despite all this, he was quite successful. Lessons for us here! ← St. Vincent Ferrer, the "angel of judgment"
Yeah!!!!! teachers who let me look at your blog during class. How does a busy seminarian have the time to post all these blogs?? I mean, should not he be praying or something holy…especially for priests?? And, Doyle, you should be studying! This blog is a tool to help me learn more and grow in prayer!! I like to know about the saints before I pray to them for their intercession and I certainly find it a useful way to do that. So it is no waste of tiem at all!